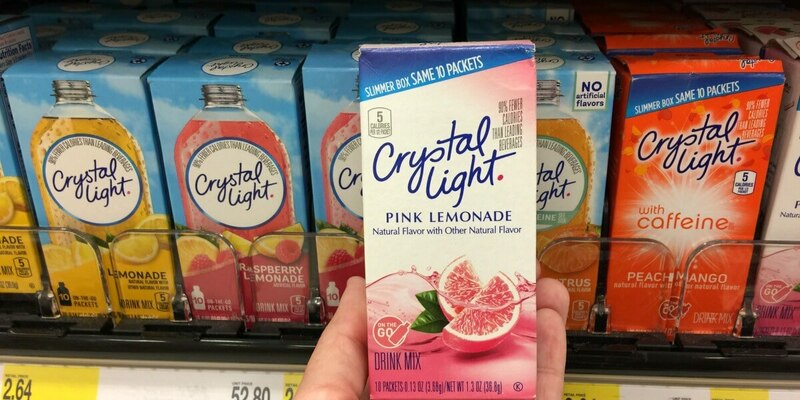 Crystal Light On The Go Just $1.14 at Harris Teeter! Through 5/16, Harris Teeter has Crystal Light On The Go and Crystal Light Pitcher Packets on Sale Buy One, Get One ($3.29 Reg) – Just $1.64 each! There is a $1/2 Crystal Light Liquid or Powder Drink Mixes coupon from the 4/30 Smart Source insert that you can use with this sale, making these just $1.14 each after coupon when you buy 2! Pay Just $2.29 for 2 Boxes, that's just $1.14 a box! Pay just $2.29 for 2, that's just $1.14 ea!